A versatile "galley up" sailing cat with twin diesel auxiliary engines, twin furlers (for working and running foresails), genset and air conditioning, four spacious cabins and excellent entertaining cockpit. Phone owners exclusive agent, RAMYB, on 0249505706 for more information or inspection on Lake Macquarie. The spacious galley is on the bridge deck and has 360 degrees views. The Galley is fully equipped with large fridge and freezer capacity, double sink, stove and convection microwave. The Galley is designed with large storage areas and has easy access to the cockpit with large servery areas. Single spreader fractional rig with jib and screecher furlers, lazy jacks and boom bag. 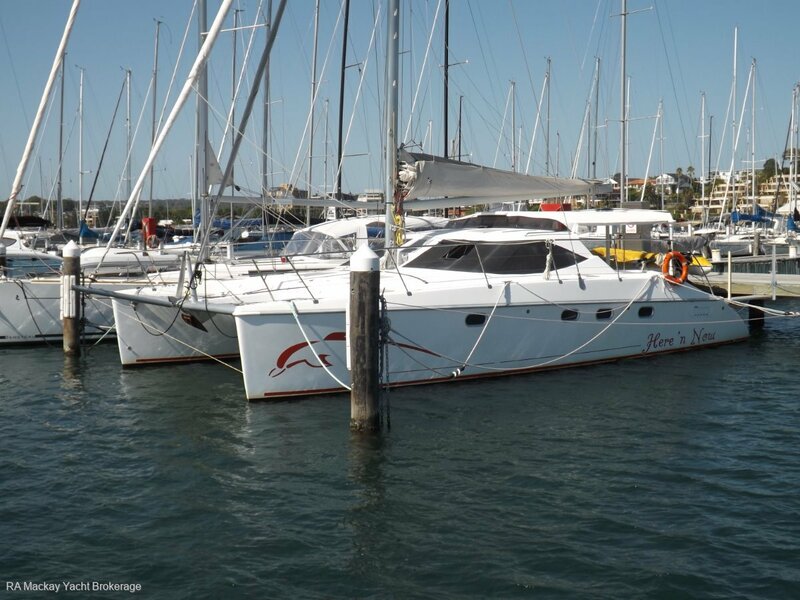 Phone Rod Mackay on 0419633345 to arrange an inspection on Lake Macquarie.